In the face of authoritarian, divisive trends and multiplying crises, when politics-as-usual is stymied, Awakening Democracy through Public Work shows it is possible to build foundations for a democratic awakening grounded in deep American traditions of a citizen-centered commonwealth. Awakening Democracy through Public Work begins with the story of Public Achievement, a youth civic education and empowerment initiative with roots in the civil rights movement. It describes Public Achievement's first home in St. Bernard's, a low-income Catholic elementary school in St. Paul, Minnesota, and how the program spread across the country and then abroad, giving birth to the larger concept of public work. In Public Achievement, young people practice "citizen politics" as they tackle issues ranging from bullying, racism, and sexual harassment to playground improvements, curriculum changes, and better school lunches. They develop everyday political skills for working across differences and making constructive change. Such citizen politics, more like jazz than a set piece of music, involves the interplay and negotiation of diverse interests and views, sometimes contentious, sometimes harmonious. Public Achievement highlights young people's roles as co-creators—builders of schools, communities, and democratic society. They are not citizens in waiting, but active citizens who do public work. 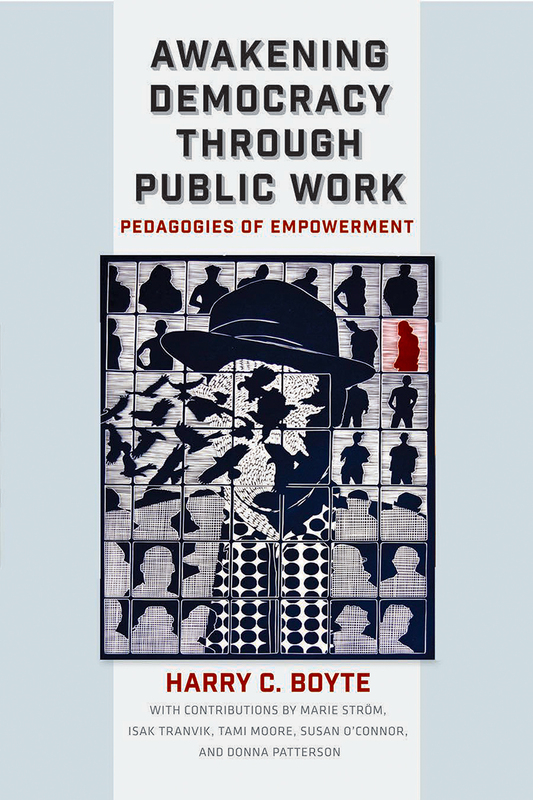 Awakening Democracy through Public Work also describes how public work can find expression in many kinds of work, from education and health to business and government. It is relevant across the sweep of society. People have experimented with the idea of public work in hundreds of settings in thirty countries, from Northern Ireland and Poland to Ghana and Japan. In Burundi it birthed a national initiative to rework relations between villagers and police. In South Africa it helped people in poor communities to see themselves as problem solvers rather than simply consumers of government services. In the US, at Denison University, public work is being integrated into dorm life. At Maxfield School in St. Paul, it is transforming special education. In rural Missouri, it led to the "emPowerU" initiative of the Heartland Foundation, encouraging thousands of young people to stay in the region. In Eau Claire, Wisconsin, it generated "Clear Vision," a program providing government support for citizen-led community improvements. Public work has expanded into the idea of "citizen professionals" working with other citizens, not on them or for them. It has also generated the idea of "civic science," in which scientists see themselves as citizens and science as a resource for civic empowerment. Awakening Democracy through Public Work shows that we can free the productive powers of people to work across lines and differences to build a better society and create grounded hope for the future. Harry C. Boyte is Senior Scholar in Public Work Philosophy at Augsburg University and author of ten previous books. As a young man he worked as a field secretary for the Southern Christian Leadership Conference, Martin Luther King's organization, in the civil rights movement. "Awakening Democracy is the book we need in this historical moment to remind us of our democratic vision and call us to the urgent work of mending the tears in our communities and co-creating our future. It is not a book to be read as a Democrat or a Republican, but as a Citizen in the most expansive, constructive, and elevating sense of the word." "Awakening Democracy through Public Work is a book that crackles with originality, insight, and action. It will awaken readers to new ways of working together as citizens and residents, and to new possibilities for engaging in shared civic life and work. I strongly recommend this book to anyone who cares about education and action for a revived democratic future." "In a day when many people feel discouraged about the potential impact of their collective actions, Harry Boyte and his colleagues have produced a story of hope about a movement for deeper democracy that equips citizens for a lifetime of meaningful work in the service of others. Awakening Democracy does not shy away from identifying the political skills needed for working across deep differences. In doing so, it takes seriously the challenges of pluralistic societies, seeing them as opportunities for enriching and protecting democracy." "Public Achievement is a way of learning and practicing politics that has spread widely, not as a standardized program but as an international network of jazz-like improvisations on similar themes: public work, free spaces, building the commonwealth, relational power, and more. Awakening Democracy through Public Work tells the story of this network and its people and presents their themes in challenging and compelling ways."